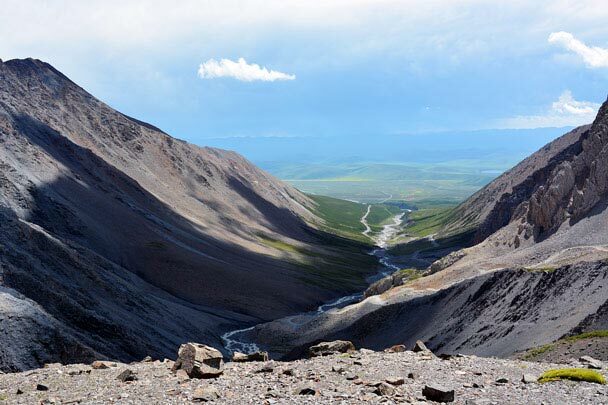 In Brief: Take a hike near the shores of Qinghai Lake; join the pilgrims visiting Kumbum Monastery; hike up to high altitude glacier on Gangshika Mountain and hike up to a glacier. Huts below the Gangshika Snow Mountain. 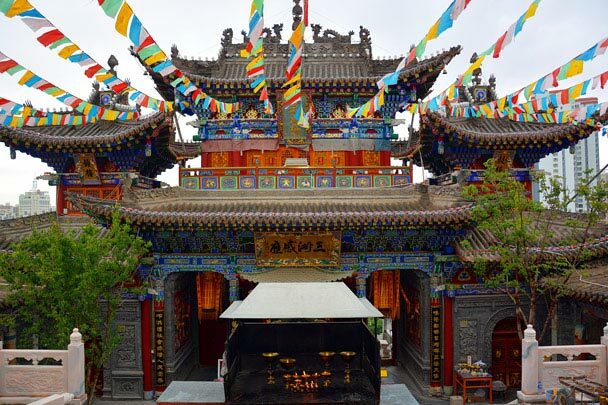 Day 1—Fly to Xining, visit Kumbum Monastery. Day 2—Hiking by Qinghai Lake. Day 3—Hike up to the base camp at Gangshika Snow Mountain; camp overnight. Day 4—Hike up to the Gangshika Glacier, option to hike up to the snow line (weather permitting). Overnight in Xining. Day 5—Walkabout in Xining, fly back to Beijing. The province is named for one of its most prominent features, Qinghai Lake, the largest lake in China. In Chinese, ‘Qinghai’ translates roughly as ‘green sea’. The older Mongolian name of the region, Kokonur, has a very similar translation: ‘blue lake’. The main highlights of the trip are Qinghai Lake, trekking on the Gangshika Snow Mountain, and a tour of the Kumbum Monastery. The largest lake in China, Qinghai Lake is located in a depression in the Tibetan Plateau and fed by rainwater and the streams and rivers that run down from the nearby Kunlun and Qilian mountain ranges. The lake is a key point on bird migration routes, and several bird sanctuaries have been set up on the western side of the lake. The western side of the lake is very scenic: bird islands close to the shore, and a backdrop of grasslands and snow mountains beyond the vast expanse of beautiful blue water. 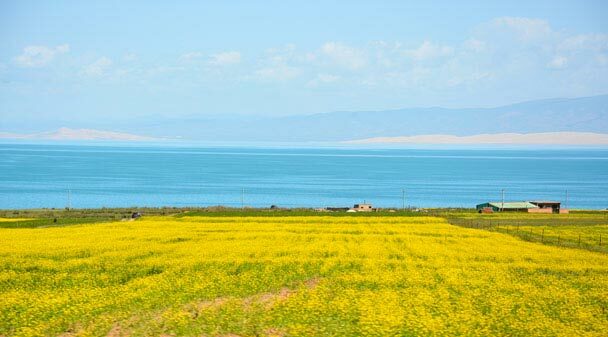 We’ll drive to Qinghai Lake from Xining, spending the day walking about and taking in the scenery by the lakeside. Looking down from Gangshika Mountain. On the other side of Qinghai Lake we’ll spot the snowy peaks of the Qilian Mountain Range. 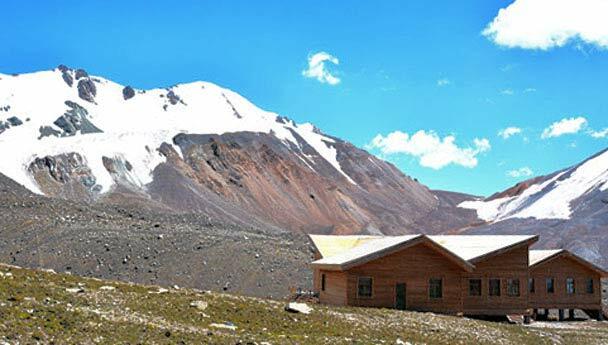 Gangshika Snow Mountain is the tallest in this part of the range, with a summit of 5,245m. On the lower levels of the mountain (3,700m) there is a small glacier known poetically as the ‘Seven-Coloured Rainbow’. Further up is a larger glacier (4,300m), which can be reached by a hike through grassy meadows. Between the two glaciers is a good campsite, where we'll settle in for a night high up in the mountains. The trails are relatively easy, making this area a great choice for your first try at high-altitude camping. If it’s clear, the views of the Qilian Mountains are spectacular, and you can imagine how many stars you’ll be able to see at night. Over the first two days of this trip we’ll be walking around at reasonably high altitudes near Qinghai Lake (approx. 3,200m) and Kumbum Monastery (approx. 2,200m). This will help us acclimatise a little for our trek up into the mountains. We’ll start our hike from the lower glacier and walk up to the 4,100m camp. After setting up camp we’ll have time to explore the nearby area. The next day we’ll be up early for a hike up to the foot of the main glacier, which is at approximately 4,300m. From there, we have an option to hike up to the saddle below the main peak, which is about 4,800m above sea level. We’ll then return down the mountain. A hall at Kumbum Monastery. 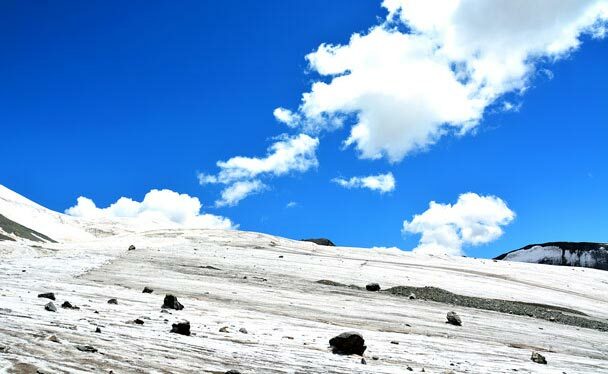 The glacier at Gangshika Snow Mountain. In Xining, we will be staying in a modern hotel. While trekking, we’ll be sleeping in tents. You’ll be sharing a room at the hotel with another hiker. If you'd like a hotel room to yourself, it can be arranged at an extra cost of 600 RMB for the trip, if a room is available—usually not a problem! We’ll be flying to and from Xining. Travel during the trip will be in a comfortable private vehicle. See 65 photos from a trip in Qinghai Province: lakes, monasteries, mosques, and snow mountains.